Acura has asked the NSX supercar to share its high-tech US production facility, with a highly limited-edition run of 2020 TLX PMC Edition sports sedans set to roll off the line. Making its debut at the New York auto show next week, it’ll be a hand-crafted version of the regular TLX, and the start of a new series of PMC Edition cars. 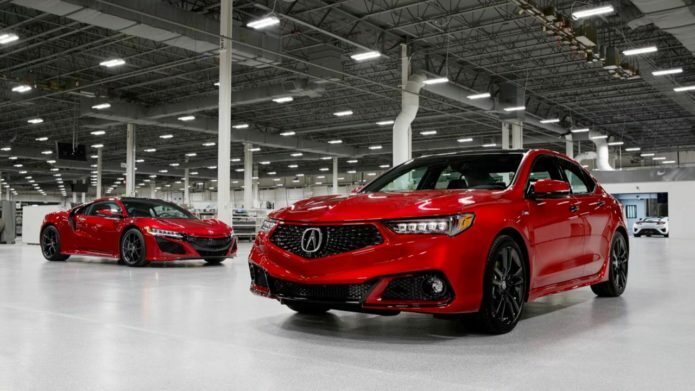 Just 360 of the 2020 Acura TLX PMC Edition cars will be produced, all of them made at the Performance Manufacturing Center (PMC) in Marysville, Ohio. It’s the location where Acura builds the NSX, and indeed it will be the same technicians – cherry-picked from the rank & file of production line workers for their talents with the cars – who are responsible for these very special TLX versions.